At first sight, it might seem like an obvious choice. Like many other e-commerce companies, you may believe that if you want to increase your exposure and sales, you need to add your products to Amazon. The world's largest online retailer has the potential to maximize your selling opportunity and bottom line. But is that really the case? A further review reveals that in reality, selling your products through Amazon is not always ideal. When considering or reviewing your decision to sell with Amazon or any other marketplace, it’s important to understand the costs of doing business with them. Remember, Amazon does not exist to help your business, they exist to help themselves. From the rigorous process to become an Amazon vendor (typically including large price reductions) to constant chargebacks, brand invisibility and limited marketing capabilities, doing business with the marketplace can do more harm than good. Before making the decision to list your products on Amazon, consider these costs of doing business through the service. As this guide on becoming an Amazon seller indicates, taking advantage of the service to begin with can be complex. From the first time you create your vendor account, you will have to decide exactly how you want to sell your products. You also need to become familiar with the various opportunities and differences on how to list your products, and the backend infrastructure in general. That process, in turn, can be rigorous. Unless you already know the backend well, you might make a wrong choice that will hamper your ability to sell your products. If you sell home services, you will even have to go through a background check that further complicates the process. If you’ve done business with Amazon, you know they have tons of rules…many constantly changing rules. If you are not playing by Amazon’s rules or maybe missed an update to one of their guidelines, you will be penalized with a chargeback. Amazon chargebacks are operational non-compliance fees that stem directly from these errors and reflect as deductions on vendor remittance checks. These chargebacks can complicate your revenue predictions and cause your business to lose out on profits. The reasons for these chargebacks vary wildly. For instance, if you work with Amazon fulfillment, the platform will charge you for any errors you make in shipping compliance to its warehouses. These violations can include incomplete information on box labels, barcodes that cannot be scanned and/or missing items and carton labels. Considering the depth or rules related to vendor shipping and routing on the service, these errors can happen quickly - and with potentially significant monetary consequences. On your own website, you have the opportunity to highlight your products in a variety of ways. Through search engine optimization and related digital campaigns, you can increase your brand and product visibility for your audience. You can advertise like products or offer promotions based on the products customers are interested in purchasing. On Amazon, the same is not necessarily true. Here, you have to rely on potential customers finding you in a related search through the platform's internal search features. That problem increases when considering the fact that on Amazon, the competition can be fierce. Also, it is important to consider that when selling on their marketplace, you are not building loyalty to your brand, but instead increasing customer loyalty to the Amazon brand. If a customer is happy with your product, they are more likely to return to Amazon to purchase more items – not your website. They relate your products with Amazon’s brand. 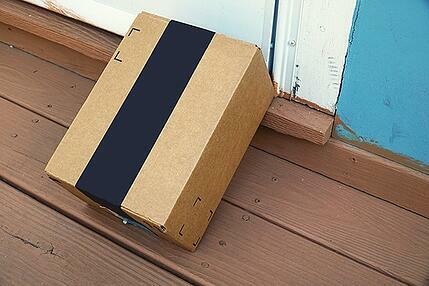 After all, their package is typically arriving with Amazon branding on it. What’s more, unless your product is unusually unique, chances are that your audience will always find other alternatives from competition vendors through the same site. Established sellers already tend to have a host of reviews, which elevates their products on Amazon above yours. The result is not just reduced brand visibility, but also lower conversion rates from users who view your product page to those who actually purchase your products. Similar to the above, it also makes sense to take a close look at exactly what your marketing capabilities are on Amazon. The problem here is that even though Amazon collects a wide range of data about your customers, that data is isolated from individual sellers. In other words, you will not have access to it, preventing you from making strategic decisions aimed at more effectively reaching and convincing your audience. Once again, customers are considered Amazon customers, not your company’s customers. Some vendors try to circumvent that problem by running external marketing campaigns pointing to product pages on the platform. But that is generally not recommended, as you will have no guarantee that your audience actually stays with your product over its competitors. Amazon can undoubtedly open doors for merchants looking to expand the portfolio of sites on which their products are available. But at the same time, it's dangerous to ignore the potential costs associated with listing your products on the platform. In other words, Amazon can help you maximize your profits - but it can also become harmful to your brand. Whether or not it's the right choice for your e-commerce efforts depends on both your existing brand visibility, and how impactful the above costs of doing business through the service can become for your situation. Make no mistake: Amazon exists primarily to increase their own bottom line, not that of their vendors. Perhaps understandably, user (not seller) experience matters above all. That's why in many cases, selling on your own website makes sense if you have limited brand visibility or sell products in a niche market. In that case, you gain insight into who your customer are, while building a customer relationship of loyalty that your audience would otherwise feel for Amazon. To succeed with your own e-commerce operations, of course, you need to have a solid and comprehensive order fulfillment and distribution strategy. That's where PBD comes in. Contact us to learn more about our services, and how we can help you build and grow an e-commerce business without having to rely on external marketplaces.